There’s a reason that everyone is going mad for this Bounty Balls 4 Ingredients Recipe and they are no bake and easy to make. Be sure to watch the video tutorial now. Do we ever have a special treat for you today. If you are a Bounty Bar fan and we certainly are, today we show you how to make itty bitty bliss balls of deliciousness. 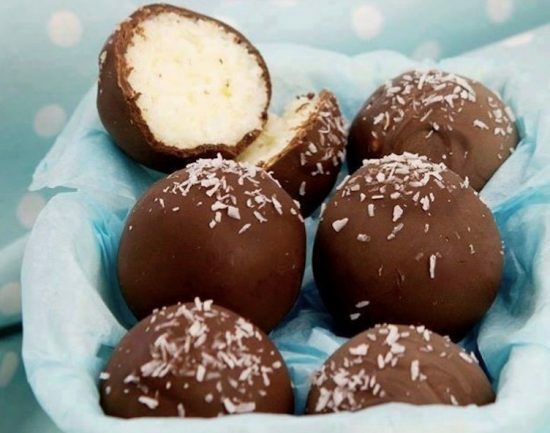 These Bounty Balls 4 Ingredients Recipe has been an internet smash and it’s very easy to see why. Kim McCosker is the creator of the recipe and we have her video tutorial. You only need these 4 ingredients to make Bounty Balls. 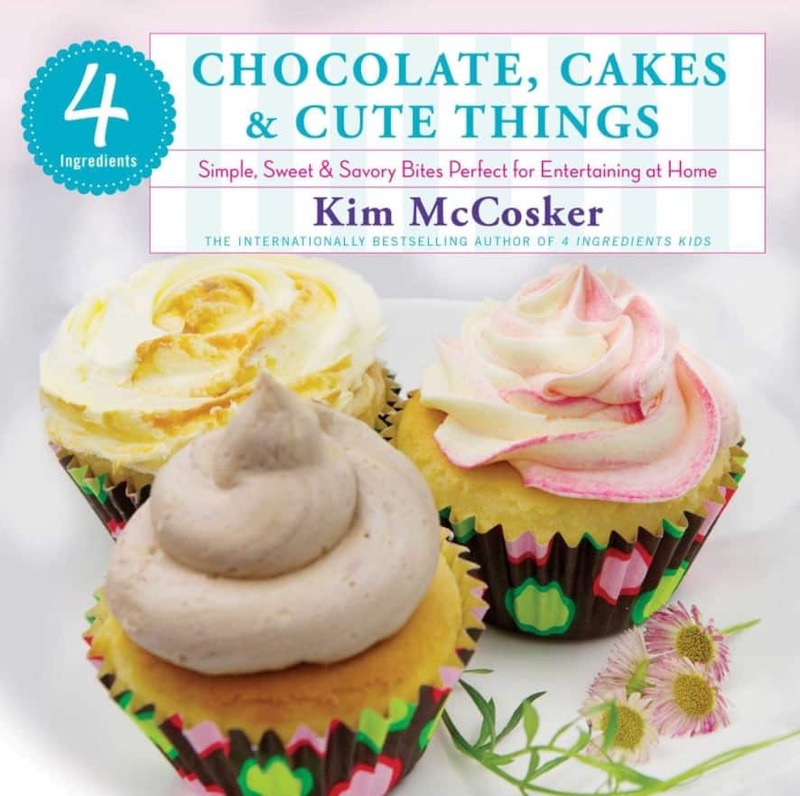 Kim McCosker of 4 Ingredient fame is the creator and the International best selling author from Australia who is the creator of the 4 Ingredient Recipes and youtube cooking show. In a large bowl, mix together the coconut and condensed milk. Using a teaspoon, roll the mixture into balls and place on 2 baking trays. Place the balls in the freezer to chill until hard. In a microwaveable bowl, melt the chocolate on medium power in 30-second increments, stirring after each, until smooth and creamy. Add the oil and stir until combined. Remove the balls from the freezer and dip, one at a time, into the melted chocolate. Return to the baking trays and decorate with a sprinkle of desiccated coconut. Refrigerate until set. Store in an airtight container in the fridge.